The 2015 Rooster horoscope predicts that you need to go forward this year with proper planning and organization. Being impulsive will not work in your favor. The Roosters are a pioneering spirit devoted to work and on a quest of knowledge. If you run into a problem, you are not one to give up. You continue to move forward in your search for answers where most will walk away. The Chinese predictions 2015 for the rooster foretell that you might run into some snags in your relationships this year. Your efforts at work are not futile. Rewards are on the way. Now is a good time to seek out wise investments or try your hand at the stock market. Some will question your motives. Pay attention to your health. Your body is trying to tell you something. Family relationships need long, overdue attention. Love and romance are not one sided. Both partners must give equally. The Chinese horoscope 2015 for the rooster foretells that you need to take life easy. Do not be in a haste to achieve your goals. This will not happen and you will just end up feeling desolate and unrewarded. A better way to deal with the Year of the Green Wood Sheep is to continue doing what you are doing. Sooner or later, you will be blessed with good luck, prosperity and happiness. The 2015 Feng Shui yearly forecasts for the Rooster show that you need to change your attitude if you wish to get past the difficulties that you might face this year. The 2015 Chinese zodiac predictions for the Rooster foretell that your relationships might face some problems. People who are committed might find it difficult to understand their partner’s point of view. On the other hand, new love matches, marriage prospects, chances of pregnancy are extremely high. When it comes to affection and love, no one can beat the rooster in the year of the green wood sheep. The Rooster Snake compatibility and the Ox Rooster love match will be excellent. But you will find trouble with a Rabbit. The coming year will bring trouble to your partnership if you don’t heed the warning signs. Pay attention to the little cues your loved one is sending you. Doing so, you could avoid bigger problems down the road. If you’re searching for love, you must first realize there is someone for everyone and stay patient until your potential mate crosses your path. Try to remain unselfish in your relationships. Your eccentricity is appreciated greatly by the right person, so stay true to who you are. (Try this Chinese zodiac compatibility test). Make more time for your family, as they have may have taken a back seat to your hectic work schedule. Friendships will be tested in the first few months of 2015. Your true friends will stay by your side and your friendships will grow closer. A close relative will rely on you for moral support. Be kind and gentle with them. Some relationships and friendships can grow sour. The true colors of some of your loved ones will come to the forefront, thus disappointing you. 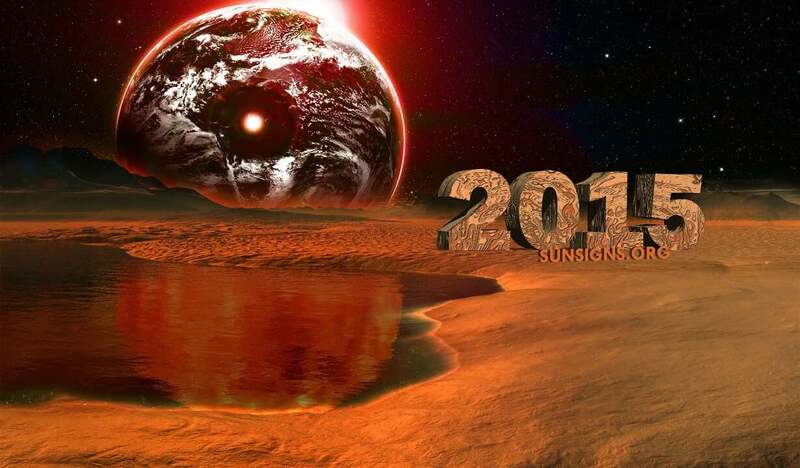 Take a look at the horoscope 2015. The 2015 Rooster horoscope predictions show that your upright and determined personality will make sure that success is ultimately yours. Maybe you will face testing times in the Year of the Green Wooden Goat, but the second half of the year will be profitable. Patience and hard work will help you go up the corporate ladder both in your job or business. It seems as you belong to the Chinese astrology sign of rooster, you have more than paid your dues in the work place in years past. Stay focused and keep your chin up. Although it has been a long road, relief is in sight. By early spring, you will begin to reap the fruits of your labor. Always one to keep plowing ahead, the rooster is seen as a leader with staying power. Your coworkers aren’t the only ones who have noticed these qualities in you. Management has also been taking notice. While investing is a good idea, some of the places you’ve thought about putting your money may not be the wisest choices. Consult with a reputable financial advisor before locking in. Expand your horizons and educate yourself on financial topics of interest. This could have several benefits in the near future. (Get your free financial astrology reading). The 2015 year of the sheep predictions for the rooster suggest that saving now for the future will be the wisest decision you have made in years. You need to control your spending right now before it gets too late. (Get your corresponding Virgo 2015 horoscope). 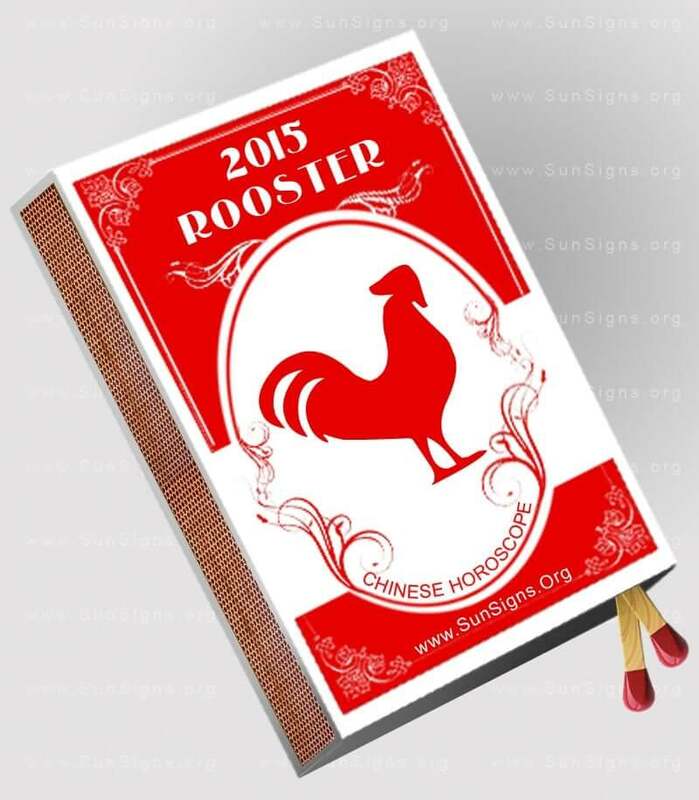 The Rooster horoscope 2015 forecasts that health will be delicate in the coming year. You need to take good care right away before it is too late. Do not let stress get the better of you. Alternative healing and practicing meditation can give you tremendous relief. You should pay closer attention to what your body is saying to you and how you are feeling. If something doesn’t feel right or you’re feeling sluggish for a prolonged period of time, you should see a physician. Don’t forget about your mental health as well. There is a strong mind body and soul connection that many choose to ignore. Recognizing this connection can improve your general well-being. (Know more from the rooster 2015 horoscope). Now is a good time for the Rooster animal sign to take up that new sport you have been thinking about. You also need to relax your mind and learn to be still within yourself. Try meditation or yoga to find an ideal calm. Be alert for new food allergies like if you are gluten intolerant in the coming year. Pay special attention to your oral health in the year 2015. The 2015 Rooster horoscope warns that being restless and dejected might not get you anywhere closer to your goals. Be positive, put in your efforts and you will see the results in no time. So what if it takes more time, more work and more patience? You will be the winner at the end of the day!